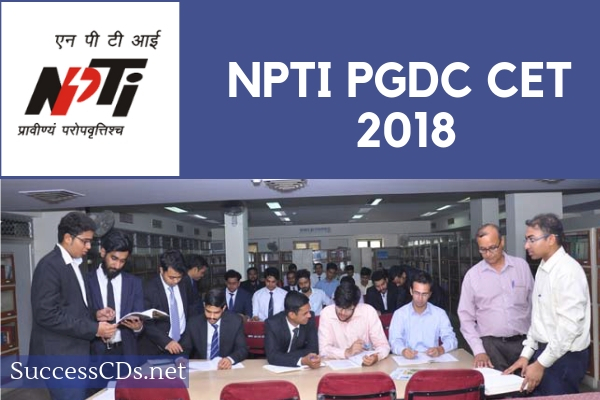 NPTI PGDC CET (NPTI Admission): NPTI Faridabad PG Diploma Courses Admission 2019 - Applications for admission to One Year Post Graduate Diploma Courses (PGDC) in Power Plant Engineering, Smart Grid Technologies, Power System Operation, Energy Market Management and Renewable Energy & Grid Interface Technologies are open at National Power Training Institute (NPTI), Faridabad for the session 2019 (Winter Session). Interested candidates can get here complete details of NPTI PGDC CET 2018 from the below. There is no age limit for pursuing the course NPTI CET. Part-II of the question paper (General Engineering) shall consist two groups i.e. G-I for the candidates of Electrical, Electrical & Electronics, Electronics & Communication C&I, Computer Science, Information & Communication Technology and Information Technology disciplines and G-II for the candidates of Mechanical and Power Engineering disciplines.